In a previous post, Spencer discussed how to make money on Amazon. In this post, I'll go in depth on what to sell on the platform through Amazon FBA. Fulfillment by Amazon is an initiative by the world's largest online selling marketplace to help businesses store their products at fulfillment centers. Amazon is also be responsible for packing and shipping the products to buyers. By signing up for an account, you place your delivery process and customer service support in the hands of Amazon. Doing so allows you to focus on your business instead of worrying about shipments and customer relations. More importantly, you get to reach out to millions of users shopping on Amazon – 244 million active users and counting, to be exact. Making your products searchable on Amazon increases your chances of getting found by your audience and generating a sale. Now, you might be thinking that Amazon FBA is not for you because you don't have any products to sell. However, you don't need to have a product on hand just yet. This post will help you determine what to sell on Amazon and the steps you need to take to bring your ideas to life and into your customer's hands. That said, we won't be dealing with retail arbitrage in this post. We aren't looking for retail products to be sold on Amazon at marked-up prices. While people have found success with retail arbitrage on Amazon, there are a lot of issues with becoming a seller of someone else's product like fighting for the buy box, lack of supply, and direct competition on the product listing. The disadvantages of retail arbitrage are what makes Amazon FBA a better option. You will have a better earnings potential by developing the products from scratch. What you should do now is find a product that you can private label. China is the best place to search for products due to low production costs, which yields higher profit once sold. More importantly, you need to figure out what to sell on Amazon, which is the most crucial component of your Amazon FBA strategy. By choosing the right product, you can make a nice profit of up to $60,000 per month (or more). On the other hand, selecting the wrong product to sell won't let you earn enough money. It won't matter if you picked a high-quality product from a cheap supplier and optimized its listing on Amazon. What is important is whether or not people will buy it from you. Therefore, this post is about the process of researching for a product that would sell through Amazon FBA. I will discuss the factors that you need to consider to determine the profitability of the product. I will also provide case studies that put the tips into actual practice so you can emulate them when you start conducting your product research. Before we get into what you should selling, let's talk about what you shouldn't be selling. What Shouldn't I Sell On Amazon? I think it's important to cover this first, because it's a common trap that new FBA sellers fall into. That is, selling a “me too” product that offers no real value or difference from the hundreds of competitors on Amazon. The first red flag about this is that one of the top results is a guy selling for $3.94 with Prime shipping! If you've ever sold FBA, you know that after Amazon fees this guy is definitely losing money. That's how cut-throat the pricing is for dog brushes. 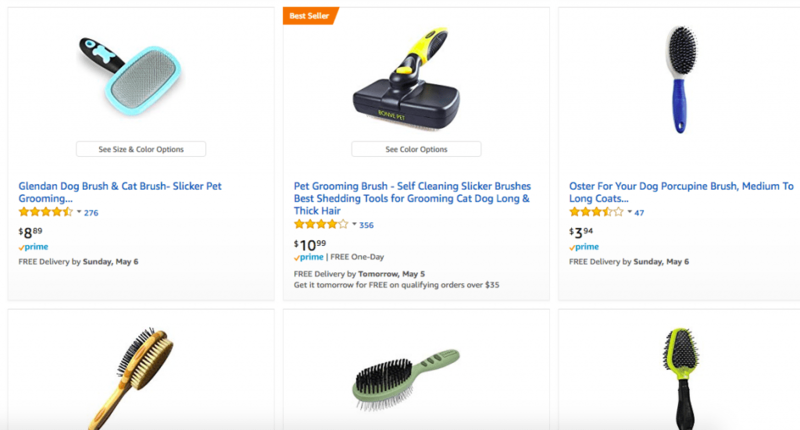 Besides that, you have to ask yourself the question – do I have some innovation to the dog brush that would allow me to charge a premium price (so I can make a profit) and outrank these entrenched competitors who are losing money or making very small margins? Unless you've got a real passion for dog brushes and some relatively deep pockets where you can afford to sell hundreds or thousands of units at a loss to move up in the rankings, you should probably just move onto the next idea. You definitely don't want to just jump over to Aliexpress and buy a standard dog brush, slap your logo on it and try to sell it. That's a recipe for losing money. Now that we know what you don't want to sell on Amazon, what kinds of things should you sell? This isn't a cliche we invented, but it works! If you've got a problem or an inconvenience in your life, the odds are that it's something other people struggle with to. Can you create a product to make that problem go away? If so, then you're likely to have a group of people who also want to buy it. This is exactly what Spencer did when he created his FBA business. He started with a product in his house that he used every day, but didn't particularly like. He realized making the changes he wanted probably would be fairly simple, so he reached out to manufacturers on Alibaba and started working on getting a sample made. Fast forward a few months and he had a new product live and selling on Amazon that sold over $4,000 in it's first 30 days. There are times when competition is a good thing. It usually means that demand exists and there is money to be made. However, some product categories on Amazon are just so oversaturated with competitors, it's very difficult for a new seller to compete. While it may feel like every kind of item on Amazon has a million sellers already, that's not the case. There are still opportunities to launch products that have demand, but don't already have tens of thousands of competitors. Helium 10 is a fantastic tool for finding these opportunities. Notice that in addition to the search volume, they give you a number of competing products for that keyword. But when I search one of the auto-complete suggestions for baseball helmet, which is “baseball helmet holder for dugout” there are only 29 results. Certainly there is more analysis to be done before launching my own brand of baseball helmet holders, but hopefully you see the point that it's much easier to come in and compete against 29 other sellers instead of 20,000. The obvious counter-argument to this point is if only 29 people are selling a product, is anybody actually buying them? That's where tools like Jungle Scout and the best seller rank come in handy (which we'll talk about in a minute). But if you're trying to decide between 2 different items to sell on Amazon and one has 50,000 competitors and the other has only 500, I'd lean toward the one with only 500, even if demand was slightly lower. This is not a hard set rule. However, if you are just getting started, the ideal price range of products to consider selling is under $100. Many sellers do well with higher priced products, and if you have the higher capital that is required (typically), then by all means go for it. Choosing a really expensive product sounds like a great idea, because in theory you can make more money. However, think about yourself for a moment as a consumer. Once you creep up above $100, you're out of the “impulse buy” category. Now you're talking about things like laptops, Tvs, furniture, etc. where you're probably going to talk to your spouse, read more reviews, look for videos on YouTube, etc. However, if you're buying something that costs about $25, you're probably not going to spend the same amount of time doing that extra research. The cheaper the product is, the less likely customers will find more information about it. Moreover, consumers are more willing to purchase the product impulsively, given the low price point. As long as it addresses their needs, then there's a big chance they will buy the product then and there. When choosing a product, look for a product that costs $10-50 to sell and focus on selling it in volume. Also, since you will be buying the products from China, you need to consider the cost of each part required to assemble your product, especially if it's an intricate piece. Delivering items to be sold for more than $50 to your doorstep could get expensive. If you're still new to Amazon FBA, then it is best to settle with simple and cheaper items to private label for now. The performance of your product on Amazon depends on the market demand. An old business professor of mine would always go through this hypothetical investor pitch where he assured you that his company made the best quality product and there was nothing else like it anywhere. The bad news was that they made buggy whips. As Americans started driving automobiles, even the best buggy whip makers were out of luck because nobody needed to buy them anymore. So when choosing a new product to sell on Amazon, you want to make sure you're not about to invest in a 21st century buggy whip. A metric that you can refer to in choosing a product to sell on Amazon is its bestsellers rank (BSR). If similar products are ranking on top of the list (a best seller rank of 1 is the best selling product in the category), it means that there's demand for them. Choosing products identical to the ones found in the list allows you to position your business on par with these bestsellers. As a result, you can attract the target market of bestselling products and get them to buy from you instead. You want to see that several of the top listings have a BSR around 3,000 or better. I heard a great tip on the AMPM podcast which said you should look for the top 3 results with BSR under 3,000. This means not only is there demand for the product, but there also isn't just one product selling well. At least 3 different products are hot sellers, which is an indicator that the market is receptive of different brands. Also, the BSR I am referring to here is the main category. In the image above, the main category (Pet Supplies) hosts the product (under Cats > Little & Housebreaking > Little category). While the subcategory BSR of the product is impressive, its performance on the main category is what matters more. Since it will be competing against other pet supplies products, a high BSR means that it is an in-demand product. Want a shortcut? I recommend using Jungle Scout to automatically pull the Amazon bestseller ranks AND displaying the estimated monthly revenue for each product. Brand recognition is really important, especially in some industries. You may not remember what brand of toilet paper you bought last, but the odds are you thought about brand when you bought your last car. Brand dominance can be a big factor on Amazon as well. If you use Jungle Scout to evaluate sales numbers on grass seed shows that Scotts Turf Builder sells $100,000 per month and the no-name brands sell $2,000 – that's an indicator that consumers are brand loyal in this category. In some cases, it's just tough to break in against the really big brands that own a category. Every heard of those brands? You probably aren't thinking of launching something as involved as a running shoe company, but hopefully you get the idea. If the top results are dominated by household names, then you should probably keep looking unless you can come up something some really creative advantage you could have that would cause someone to pass up the brands they know to try out your lesser known product. Reviews are huge on Amazon. It's not the only ranking factor for products, but there's a reason that many of the top results on page 1 have tons of reviews, that are mostly positive. 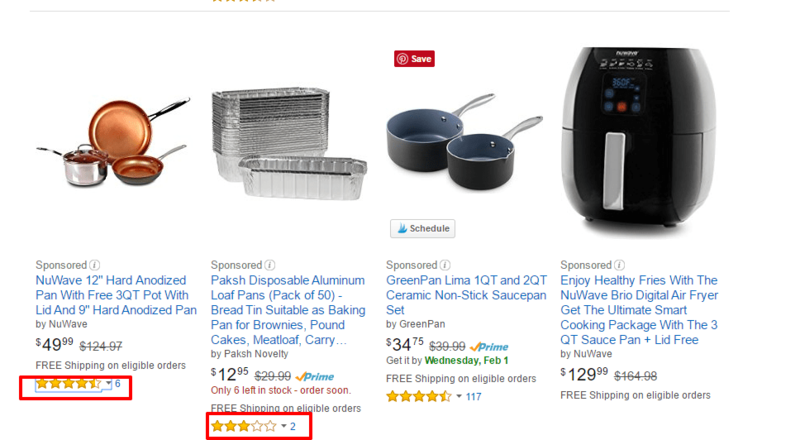 Amazon's goal is to sell products, so they like showing products that convert the best near the top of their search rankings. Since thousands of glowing reviews tend to convert lookers into buyers, there's a direct correlation between lots of positive reviews and high search rankings on Amazon. If every product on page 1 of the results for your main keyword has over 50 reviews, that could be problematic for you. That's not to say it's impossible, but getting 50 reviews takes awhile and that means you're going up against some pretty entrenched, long term sellers who have a nice sales history on Amazon. So if you're looking for an easier win, then looking for keywords with multiple products on page 1 with less than 50 reviews. If there are some with less than 10 reviews or even NO reviews – even better! 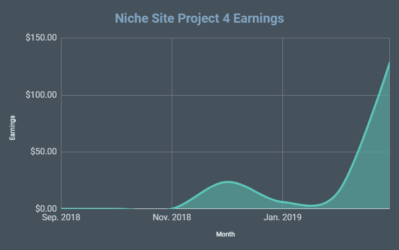 This simply means that if you follow a nice launch formula and start picking up a few reviews in the early days of your product going live, you'll have a better shot at getting to page 1 in the short term. Many FBA courses recommend that you sell a product that would fit inside of shoebox. The reason they say that is because your shipping and fulfillments costs for that item are going to be much lower compared to selling something awkward and heavy like a ping pong table. I don't agree that your product has to be small and light to be successful. There are plenty of heavy, oversized items that do very well on Amazon. 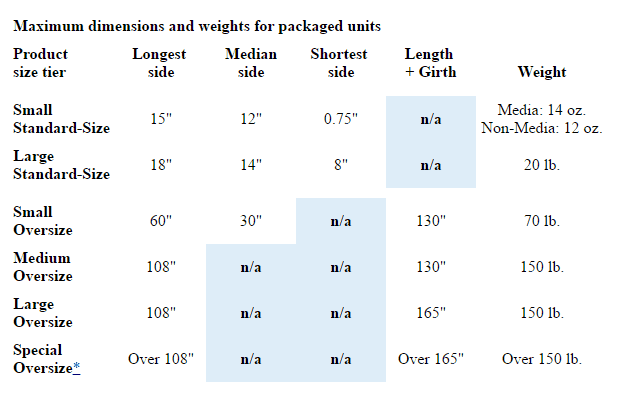 However, you should know the dimensions and weight and which tier you'll fall into before you decide to buy a product. For more information about product size tiers, click here. The best way to get an idea of what your FBA costs will be is to use Amazon's calculator and put in an item that is very similar to yours in terms of size and weight. If the margins are there for an oversized item, go for it! It's usually a little more risky because you are going to spend more to buy inventory, but the payoff can also be much larger if it works. It's ideal to find something small and light, but you need to make sure it fits all these other criteria in terms of competition, sales rank/demand, and sufficient margin. The problem with small and light is that it's the same thing every other aspiring FBA seller is being told to look for – so you're more likely to find products that are completely saturated where price wars are common. So expanding the size of your “shoebox” is a smart idea, just make sure you understand how it affects your shipping and fulfillment costs before you make that big purchase order. Once you have a product that passes all the requirements above, you can now find suppliers who will provide you the product that you will private label at low costs compared to what you can sell it for (margin). 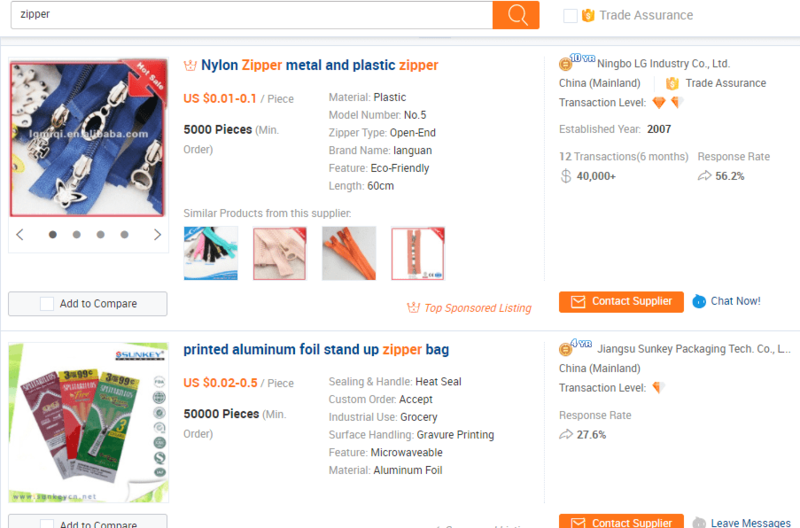 As mentioned, China is the first thing that people search for when it comes to affordable suppliers. A quick check on Alibaba for the product you want to sell will reveal to you a slew of results to choose from. Open the pages of products you're interested in purchasing and compare their prices with the ones on sale at Amazon. Ideally, you want to find a product that costs at least 75% less than the retail price on Amazon. For example, if you see the average retail price on Amazon is $10, you want to pay no more than $2.50 for that item. Margin matters for a lot reasons. First and foremost, it's what determines if you're making or losing money. You don't want to do all this work just to break even do you? You also need a healthy profit margin to cover hidden fees that come with selling on Amazon that you're probably not accounting for when you're working on finding what to sell. For example, Amazon charges both short term and long term storage fees for keeping items at their warehouse. These numbers are always changing, but it's a variable cost that you will have a hard time estimating at this early stage in the process. You're also going to get returns from customers. In some cases you can resell those items as used, but there are still costs involved there and many times it's just a loss. So if you're margins are really tight in the “perfect world” scenario where you sell every item for full price and never get a return, you're going to run into some problems when the unexpected happens. So when evaluating what you should sell, don't lie to yourself about the numbers because you really want to launch a particular item. If you're buying a standard sized item for $10, retailing it for $19.99 on Amazon just isn't going to work – that retail price probably needs to be more like $35 – $40 to leave yourself plenty of margin after all the fees and hidden costs. Similar to SEO, you need to find the best keyword for your product to maximize your earnings potential. Finding a relevant keyword with a high search volume on Amazon is your top priority. Unless they know the exact name of what you're selling on Amazon, users can only see your product if they type in the keyword related to your product. By targeting the most searched keywords in the platform, you can increase your visibility to your target market in the hopes of getting them to buy your product. There are a couple of tools that can unearth the monthly Amazon search volume for related keywords. Keyword Tool – The tool helps you find keyword suggestions that you should consider to use for optimizing your product page. 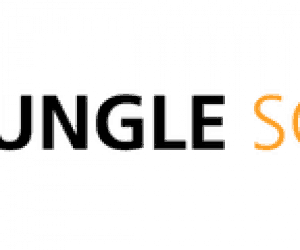 Jungle Scout – The Amazon product research tool offers a comprehensive keyword feature that shows the different products which appear on search results. Each product also reveals the BSR, estimated sales, estimated revenues, and more. Merchant Words – The tool contains over 60 million keywords that Amazon users enter on the search bar to shop. It also shows the search volume for each keyword to help you decide which ones to optimize for. Helium 10 – Helium 10 has become our favorite keyword research tool for Amazon, with a bunch of powerful metrics to help you decide whether you should sell a particular product. Aside from these tools, Long Tail Pro allows you to find the average Amazon reviews for each keyword. As mentioned, you should choose a product with the least reviews as possible so you could get indexed on the first page of search results. By finding the least number of reviews for related keywords in conjunction with other data available from the tools mentioned above, you can determine which ones you should focus on. I've even heard convincing arguments that understanding the keyword research numbers is actually more important than knowing the best seller rank and sales numbers on Amazon. Because if Helium 10 is saying 10,000 people search for a particular keyword but the top selling item is only selling a 100 units per month, that's probably an indication that the items for sale on Amazon aren't good quality, have poor photos, or some other factor that results in people leaving Amazon to buy that item elsewhere. Aside from customer reviews, there are other factors considered in figuring out which pages that rank on the first page of Amazon search for a keyword. In short, the page should provide all the information necessary for users to make an informed decision about the product. Amazon has a page that details the best practices of developing your product pages to make them informative to users. If you can find pages that commit these mistakes, then it is an opportunity for you to optimize your pages based on the weaknesses of the other ones ranking on the first page. The lack of images or the lack of quality images is probably the most important one to look for. Images can make or break a product. People buying online may have never actually seen the item they are about to purchase in a store – so the photos, description, and reviews are just about all they have to go off of. If they aren't sure of what they are getting from the photos, they are likely going to buy something else. So if you see lots of listing on page 1 that have one picture, or a few poor pictures – that means you've got an opportunity to stand out from the crowd and out sell them. The final piece of advice when figuring out what to sell on Amazon is to stick to simple stuff. I'm assuming that if you're still reading, you're probably thinking of Amazon FBA as side hustle opportunity and you don't have a full-time research & development team on staff. You need to stick to ideas that you can translate to (most likely) an overseas supplier who speaks English as a second language and needs to translate what you want to a sample maker who is actually going to bring your idea to life. If you can't explain your product to one of your buddies without confusing them, good luck getting that message across to a factory in China. So as you're filtering through your ideas, think about the innovations and modifications you can make to existing products that are relatively easy to explain using marked up photos or a short video demonstration. Complicated: Make an umbrella with built-in helicopter rotor that allows you to fly like Inspector Gadget. Complicated: Make curtains for a house boat that can also inflate in case of emergency. Simple: Make a new laptop bag that has a better pocket to carry business cards. Complicated: Make a new laptop bag that has speakers and a back-up battery built into it so you can blast tunes from your laptop for hours. Yes, you want to be innovative. But, the more complicated a product is, the more things that can go wrong during production, and the more time and money you'll spend finding someone who can actually make it. In the end, some of the best product ideas are simple solutions to common problems – not some wild new invention. 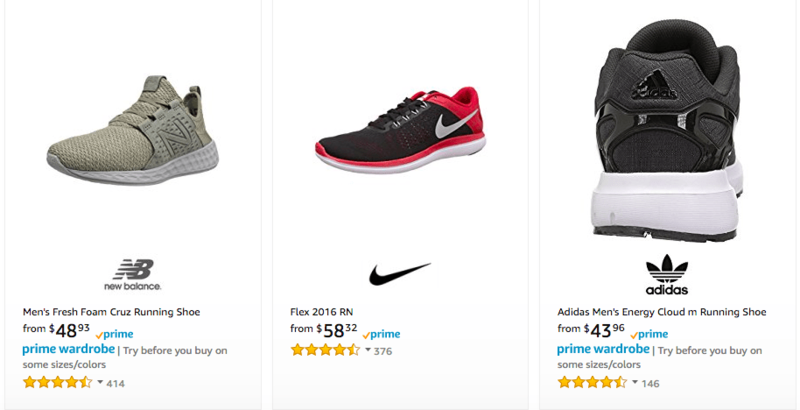 Now that we've discussed the things about what to sell on Amazon, it's time to see these practices in action from the different case studies featured below. Manny shares his impressive run selling private label products on Amazon in just a month. He details in this post and podcast the process of researching and selling the three products. Manny mentions the work that was put in launching the products (12 to 16 hours of work from Monday to Sunday). Not to mention, he also ran into some problems such as losing stickers to close the boxes and Amazon losing one of his shipments. Nonetheless, the results more than compensate for the work he's put into this successful project. Key takeaway: Manny chose a product in anticipation of the holiday season to maximize sales. He was selling a product under the toys category. The stock got sold out before Christmas, which is an encouraging sign. 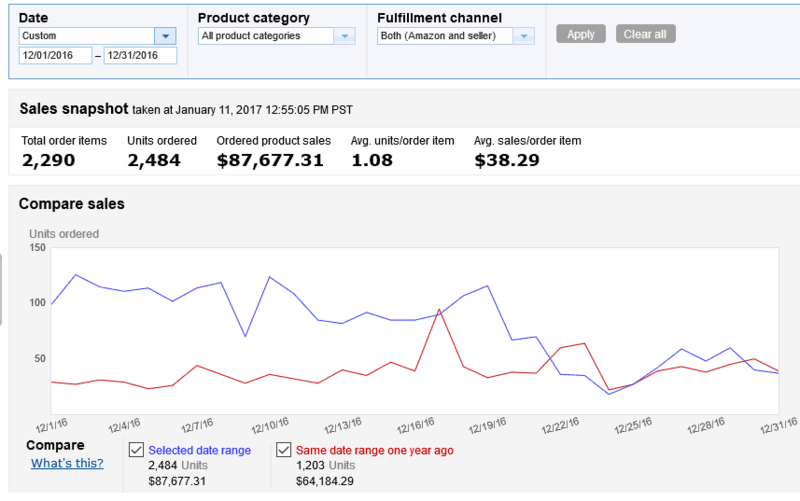 By choosing a product to sell based on trends and season, Manny was able to make the most out of his Amazon FBA campaign. Spencer has no experience selling physical products on Amazon less than 2 years ago. However, upon reading about the subject, he saw the potential of earning money from this strategy and had to try it himself. 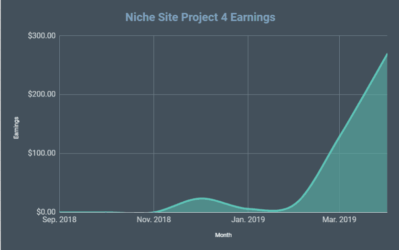 As documented in this post, Spencer was able to quickly ramp up his earnings to over $4,000 in just his first month. Key takeaway: Trying to figure out how you can be unique in the marketplace can be important. Don't just try to launch exact replicas of everyone elses products. Even a small tweak to a product can help you stand out and make more sales. One person that has encouraged lots of people to pursue selling private label products on Amazon is Scott Voelker of The Amazing Seller. Spencer did a podcast interview with him to discuss his strategies. Before venturing into the world of Amazon FBA, Scott owned a very profitable photography studio. He wanted to build a business that didn't take much of his time, so he turned to Amazon for help. On the first month of selling products on Amazon, he earned $4,000, which wasn't bad. However, after nine months of refining his processes, he made a solid five-figure income monthly and never looked back. Key takeaway: Scott admits that there's no shortcut to finding that product that would sell like hotcakes on Amazon. However, he emphasizes the importance of depth when it comes to choosing your business. 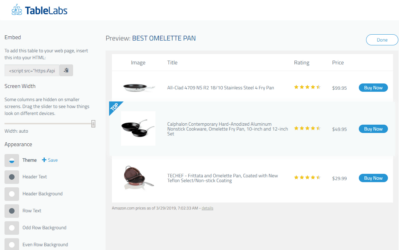 What Scott means is that you have to pick a product on Amazon in which you can still make a substantial amount of sales in the position you can get your product page within Amazon search. By approaching your product research in a strategic manner, you can unlock your true earnings potential in Amazon FBA. Another person that has done well selling physical products is David Bryant. 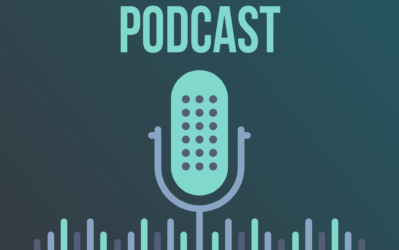 Unlike other so-called private label product seller gurus, David is far ahead of the pack as he discusses in a podcast Spencer did with him about the practices of importing products from China to be sold on Amazon. Aside from the usual route of searching Alibaba for the supplier, he recommends getting a sourcing agent. This person is responsible for finding you the best products to be sold for you. Key takeaway: Unlike others, David believes that researching can help unearth the best product that you should sell, but he is an advocate of going with your gut when making decisions. Also, he suggests that people should start selling a product that they are passionate about. Since they are fully informed about the product, it will be much easier for them to sell the product to their audience. Another tip he shares is choosing a product that has lots of potential for add-ons. For example, if you are selling mountain climbing shoes, you can branch out to selling related products like harnesses, ropes, and others. Finding a type of product to sell is critical to your success for Amazon FBA. You not only need to be passionate about the product but need to put the work in to prove that the product will sell in the market. The tips above should help guide you in choosing which product to go with. The research process is exhaustive and time-consuming, but it is a necessary step to make sure that you are doing everything correctly. At the same time, your research should provide you all the information you need to know to make it easier for you to succeed. I also suggest that you read up on the case studies featured above to help you understand the level of commitment you should have to make the same amount of money, if not more! Thanks for reading! If you have questions or comments, please feel free to shares your thoughts below. Thank you so much! I read every your post about Amazon niche sites. They’re so great and useful for me. Hello. Do you know some tools or web service for figure out best products(a lot of sales) in this current month for example? Brilliant article. I like the fact that you somehow give a warning. If you are just starting, select a product between 10 to 100 USD. It is safe to say that you need to chose a small item with a good margin. Say you buy it 5 USD and sell it 25USD. This covers shipment and potential custom costs as well as amazon costs too. Very insightful post for FBA sellers. Thank you Spencer uncle. Your articles are quite informative and straight to the point. I always enjoy reading them and putting into practice what I have learnt. I am sure with time, my blog will grow to something huge! Thanks Spencer. 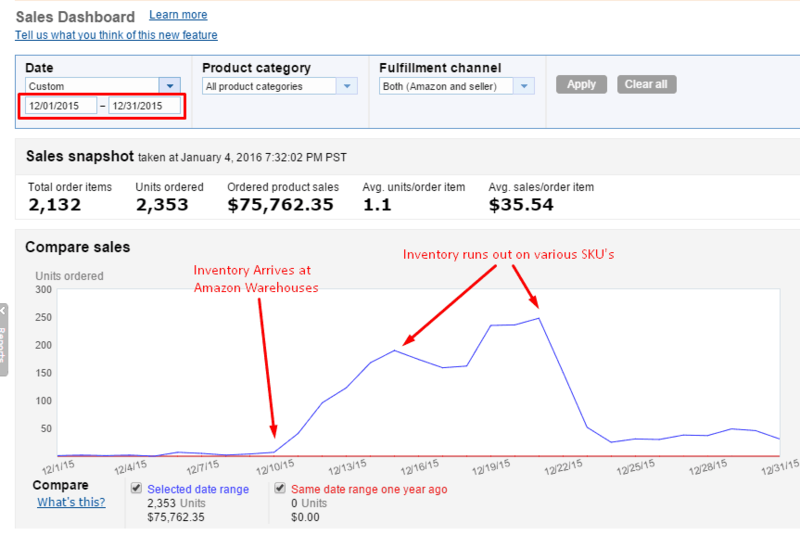 I’ve been thinking of jumping into Amazon FBA for a little while now. I’ve done tons of product research for some other people I’m helping with a particular Amazon strategy they’ve been using, I’ve been all over Alibaba, messaged back and forth with dozens and dozens of suppliers, negotiated MOQ’s and prices, and so on. Do you still think brand new sellers can still climb up in the ranks in 2017 without a network of pro sellers like you have? I know you started your journey 2 years ago, that’s why I ask. I’ve got the money to put into all kinds of products, I just don’t want it to be a wasted investment in the end. Gotta start somewhere I guess! Yes, I still think new sellers can do well on Amazon. It just takes more effort to find unique products or unique selling angles. I’m really interested about learn more about FBA business. that’s a great content for FBA newbies. Do you have any article about CPC (Cost per click) advertising. I am stuck in that. Lots spends and limited sales. I don’t have a specific article on that subject. Thanks, Spencer for all the information you have published for us over the years!! I’m pretty interested in FBA but the one question that I can’t seem to get answered is how does someone know if a product that they find on Alibaba can be private labeled? In other words, if I find a product to sell that meets all my requirements and I have found the product on Alibaba as a means to source it … how can I know if said product can be private labeled? I find some products that look promising, but when I am on Alibaba the brand might say OEM, or ODM, or have an actual brand name. Any clarification on this point would be HIGHLY appreciated!! Thanks for all you. The only time this would be an issue is if something is patented. So, if you suspect something is patented, you can hire a patent attorney on upwork (for a couple hundred bucks) to do a patent search for you. I’ve done this a couple times. Most products are generic enough that this is not a concern. Ok, thanks! I really appreciate the quick reply. Most of the suppliers on Alibaba also provide designing services so you can create a totally different item within the same niche. It’s seems very easily described to earn. However I got very difficult to manage a product to start a niche site at amazon. Have you like to give some effective idea to start a amazon niche site? Hi. Thanks for this post, really learnt alot reading this. Great information. This makes me more confident to pick amazon product in right way. 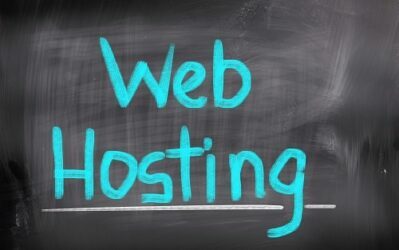 Thanks for sharing amazing niche site making tips.